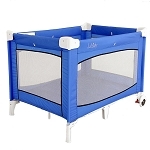 Institutional quality play yard made with a sturdy frame and padded top rails in a medium blue fabric. 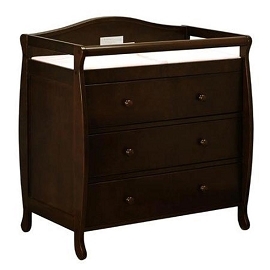 The Grace Changing Table is made of solid hardwood with a beautiful non-toxic finish. 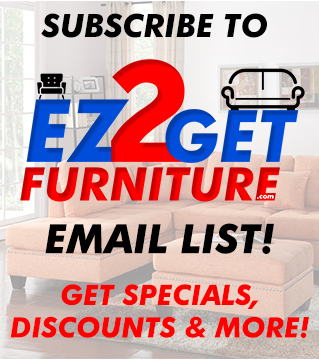 This versatile and stylish piece of furniture will provide you and your child with years of use. 36?L × 23?W × 39?H Available colors: espresso, cherry, pecan, and white. A beautiful wood design graces the Molly Combo Dresser and lends an incredibly durable and elegant touch to whichever room it is placed. Equipped with three drawers, a cabinet with adjustable shelf and a hat-top drawer next to an optional changing area, the Molly Combo has ample storage for all your baby needs. 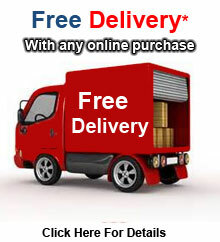 Drawers run smoothly on steel runners to provide easy access. Safety stoppers prevent the dislocation of the adjustable top drawer. The top of the dresser can either store your cherished memories or be used as a changing area. Ready to assemble. 51?L × 19?W × 41?H. Available: in White, Cherry, Espresso, and Pecan. 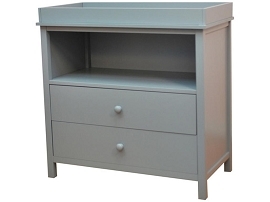 The Nadia Changing Table is made of solid hardwood with a beautiful nontoxic finish. The simple yet strong construction is designed with safety in mind and is a perfect complement to our Nadia Convertible Crib. The table has one drawer that glides smoothly over metal runners. A 1" changing pad is included. 39?L × 19?W × 38?H Available colors: white, cherry, espresso, and black. Natural chic meets practical functionality with the Mozart 3-in-1 Convertible Crib. This modern crib features an extra drawer to keep baby's essentials close at hand. Beautifully convenient, all hardware is safely hidden. The Mozart Convertible Crib has four adjustable mattress positions and grows with your baby, converting to a toddler bed (rail included) or daybed. Our junior bed is hand crafted here in the USA. It's unique dimensions allow itself to be placed in narrow places but still having enough leg room for your child's growth. Mattress included. The Mini Amy Crib is made of solid hardwood and is beautiful and durable. 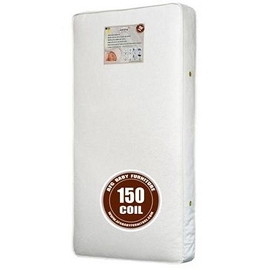 It is ideal for the space conscious family and also can convert to a Twin Bed as your child grows. 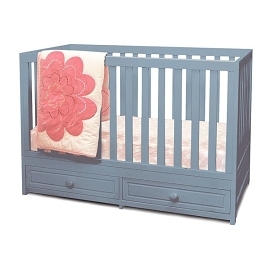 The Spring 3-in-1 crib features a beautiful finish over solid wood. It has a drawer conveniently located below the crib that glides easily over metal runners. The crib can be converted into a toddler day bed, or full size bed. It comes equipped with a guard rail and a 4-level mattress support. 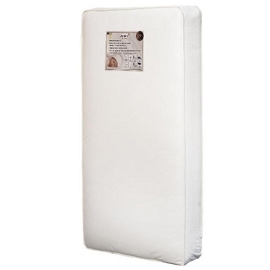 (Assembled)59"L x 30"W x 52"H(Packaging Size)54"L x 44"W x 7"H(Product Weight) 87 lbs. The Lia Crib from our Jordana Collection boasts a bold, assertive style that brings pronounced elegance into any nursery. Designed with a tasteful twist on the classic missionary style, the Lia Crib is timeless and sure to become the centerpiece of those joyous early years. Uncompromising in quality and strength, the Lia is built to last. 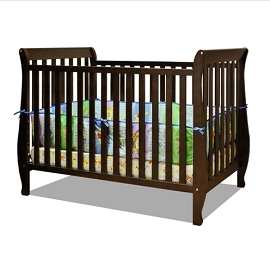 The crib has a solid hardwood construction and a beautiful nontoxic finish. It features an adjustable 4-level mattress support can be converted into a toddler bed or full-size bed to accompany your child's growth. Guardrail and conversion rails sold separately. Available in Cherry and Espresso. (Assembled)53"L x 31"W x 40"H (Packaging Size) 56"L x 35"W x 11"H(Product Weight) 128 lbs. The Daphne I 3-in-1 Convertible Crib is perfect for the space conscious family. Its versatile build creates the perfect baby station. The changing table comes equipped with three drawers and two unit shelves that can later be used as a nightstand/dresser. 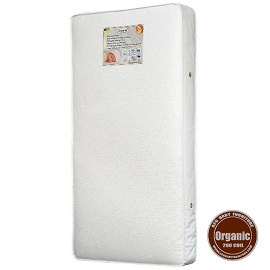 Its durable non toxic finish makes the crib easy to maintain. The Amy 3-in-1 Crib is a sturdy and versatile crib made of solid wood. The crib can be converted into a toddler day bed and full size bed. It comes equipped with a guard rail and a 4-level mattress support. Its simple, convertible ability allows you to adjust the product throughout your child's growth. (Assembled)58"L x 34"W x 43"H (Packaging Size) 58"L x 37"W x 6"H(Product Weight)69 lbs. 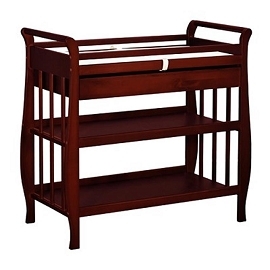 The Allie 3-in-1 Crib is made of solid wood with a smooth, glossy finish. The crib can be converted into a toddler day bed and full size bed. It comes equipped with a guard rail and a 4-level mattress support. Its simple, convertible ability allows you to adjust the product throughout your child's growth.